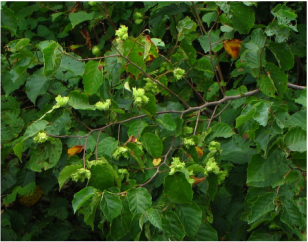 Shrubs and vines that are beneficial to wildlife generally produce some type of fruit or nut that is a favored food source for birds and mammals. The Wexford Conservation District sells a wide variety of shrubs and vines suited to the climate and soil types found locally. All of the plants on this page are native to Michigan except the crabapples. Scroll down the page and enjoy our photo gallery of the wildlife trees, shrubs, and vines that we sell. Salt-tolerant woody shrub that forms thickets 6 - 7 feet in height. Produces clusters of waxy gray-white fruit on second-year stems. This species is dioecious, meaning there are separate male and female plants. Once established, it will slowly creep with rhizomes forming dense thickets. Does well in full sun on sandy soils, but is only hardy to zone 5. Native to eastern U.S.
A low-growing shrub native to our coastal dunes. 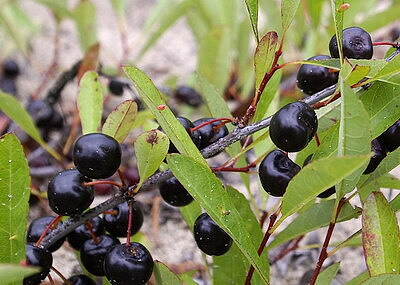 This creeping plant produces fruits that are a deep black-ish purple. They are a favorite wildlife food and are sweet, but somewhat astringent. Will grow 6-9’ tall. Prefers full sun and sandy soils. Small tree that will grow to 20" tall. Leaves are red in the spring, and retain a reddish hue for most of the year. Flowers are pink. Fruits are ½” in diameter, persist through the winter, and are a favorite of larger songbirds. Does best in full sun on a wide variety of soils, but prefers loam. Hybrid. Spreading shrub that grows to 12’ tall. Has showy, white, flat-topped flowers that resemble hydrangeas. 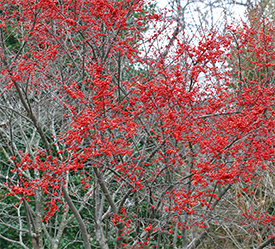 Fruit is bright red and persists in winter. Grows in sun or light shade. Needs wet soils. A large shrub that will reach 6-10 feet in height and form thickets. Flowers attract a wide variety of beneficial insects. The berries have a high fat content and are eaten by a large variety of birds. Prefers moist soils and shade. Vigorous, high-climbing vine that attaches with tendrils. Produces tart, but edible fruit. Will tolerate light shade. Prefers moist soils, but will grow on drier sites. 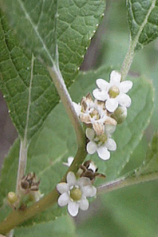 Produces showy white flowers and small red fruit that stay on through the winter. Has sharp, straight thorns that can reach 2" in length. Grows to 15' tall. Can tolerate light shade. Prefers moist soils, but can tolerate somewhat dry conditions. Erect bushy shrub that grows to 9’ tall. Produces nuts that are similar to European hazelnuts, but not as large. Requires full sun. Can grow on a wide range of soil types. Small, shrubby tree reaching 25' in height. Has beautiful white blossoms that are very attractive to native pollinating insects. Produces red or yellow edible fruit. Needs full sun and average soils. Known for its beautiful pink flowers that appear in early spring. Seeds have a high protein content and are eaten by birds and deer. Native to the southern tier of counties in Michigan. Grows best in light shade. Can grow on a wide range of soil types. Has attractive summer flowers and foliage. Provides good nesting cover and food for birds. Mammals eat the fruit, twigs, bark, and leaves. Will grow to 6' tall. Can grow on a wide variety of soils as long as they are planted in the shade. Erect shrub growing to 12’ tall. 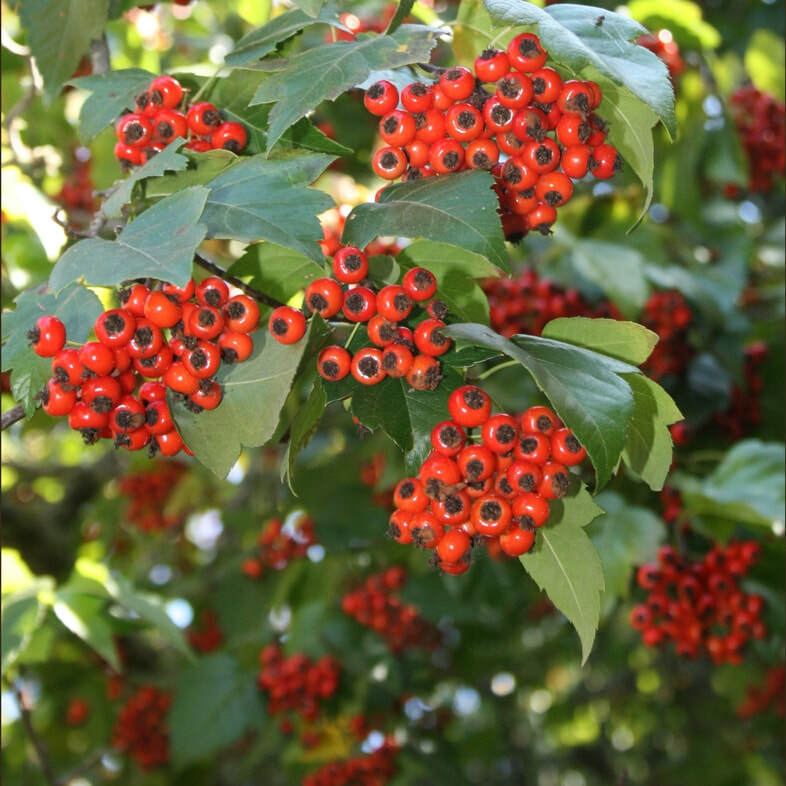 Has showy red berries that stay on the plant through the winter. Prefers sun, but can tolerate a small amount of shade. Needs wet soils.